Mystical Lighting and Ambiance — набор из 27 визуальных эффектов для наложения света, теней, погодных эффектов (снег, дождь, ясная погода), звезд, радуги, тумана и т.д. Эффекты применяются за счет рисования или удаления эффектов с желаемой области выбранного изображения. Каждый наложенный эффект может быть настроен индивидуально. Mystical позволяет накладывать эффекты слоями и имеет поддержку изменения прозрачности каждого слоя по-отдельности. 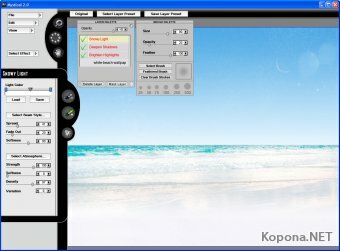 С помощью Mystical Lighting and Ambiance вы сможете преобразовать ваши фотографии в новый вид всего за несколько кликов мыши. Также имеются встроенные пресеты для преобразования фотографий за пару кликов. При совместном использовании с Mystical Focus и Tint Tone and Color вы сможете добиться еще больших результатов с вашими фотографиями. Mystical Lighting and Ambiance 2.0 is a suite of 27 visual effects that let you stream natural light and shading, create shadows and generate atmospheric conditions such as rain, snow, fog, smoke and haze. Mystical Lighting and Ambiance 2.0 has a number of new effects that stream in visual enhancements across your photos. In the slide show above you can see some of the fantastic results you can easily achieve with this award winning suite of effects. With Mystical Lighting and Ambiance it's easy to add effects like rain, sleet, snow, mist, fog and haze. Combine different atmospheric conditions like snow and mist then brush-on / brush-off what you don't want. These effects are super-realistic! By moving, expanding and adjusting the T-Path control you can exactly position the lighting / shading effect and stream it across your photo to naturally blend into the scene. Each t-path has it's own atmospherics and light beam settings. 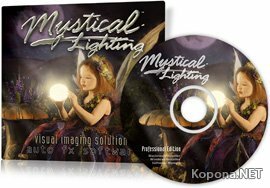 Mystical Lighting and Ambiance is tightly integrated with Adobe Photoshop and works as a plug-in filter accessible under the filters menu in Photoshop. This software doesn't require any special skills or techniques to use and is easy for even beginners to master. As you use Mystical Lighting and Ambiance you'll find that it's easy to combine effects together to create new artistic looks. 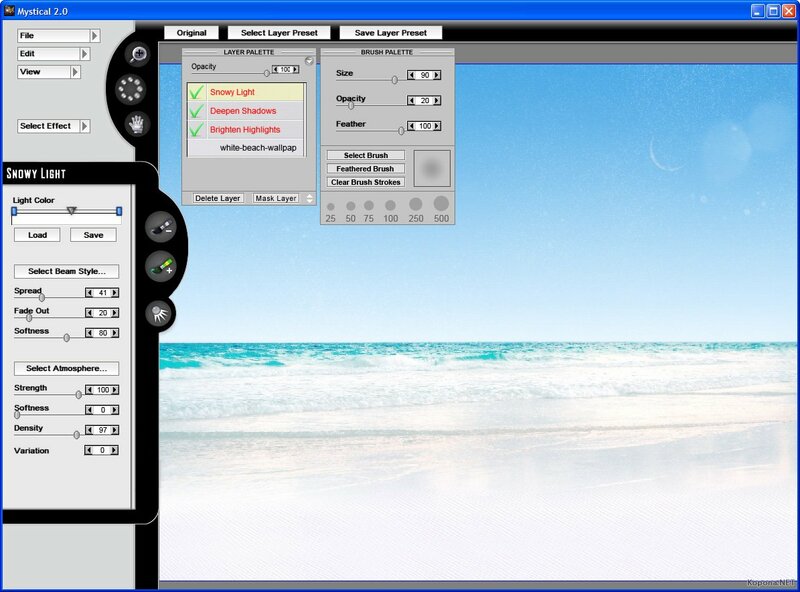 Effects are organized so it's easy to find and apply them under the Select Effect menu. Забанили серийник!!! Устанавливаю по новому серийник не подходит( Удаляла Uninstal Tool и в ручную выковыривала, все равно! Интернет отключен! Помогите установить прогу очень надо!! !